In the wild butterflies find their greatest source of sodium, essential minerals and vitamins from wild animal urine puddles and urine-soaked leaves. 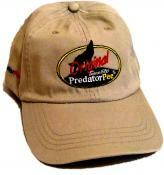 Now you can bring this natural butterfly attractant to your garden with Butterfly Lure - pure urine from the wild. We have been in the urine business a long time, but we always get excited when we discover a new use for this incredibly renewable resource! Directions: Pour a shallow pool of ButterflyLure into a colorful dish and place on the ground, stump or fence post in a place that gets a lot of direct sunlight. The butterflies will find it quite soon. Replenish as needed. In the wild butterflies find their greatest source of sodium, essential minerals and vitamins from wild animal urine puddles and urine-soaked leaves. 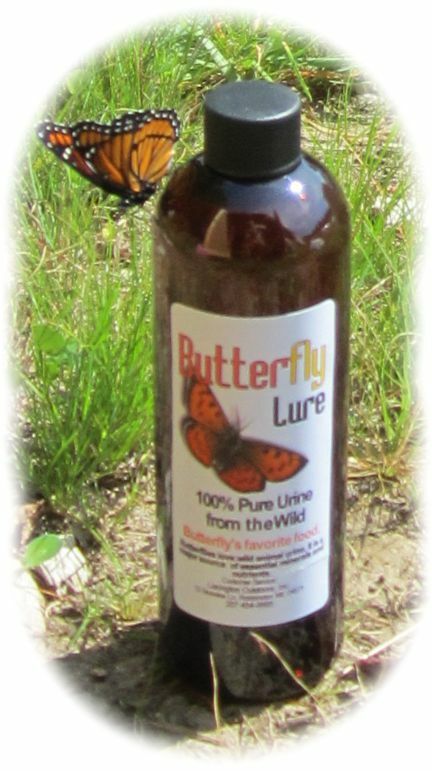 Now you can bring this natural butterfly attractant to your garden with Butterfly Lure - pure urine from the wild. We have been in the urine business a long time, but we always get excited when we discover a new use for this incredibly renewable resource! 12oz bottle. "The minerals and sodium in urine are appealing to the butterfly!" "Up front, it's probably worth noting that butterflies have an eclectic type of diet... (ok, they are attracted to urine and other types of wildlife excrement)." "A butterfly drinks by uncoiling its proboscis and laying it in the crevices of the mulch, or along the edge a water droplet, drawing water through the tube shaped tongue. Butterflies can often be seen drinking, or puddling, from mud puddles and areas of concentrated urine in order to obtain required salts and minerals as well as water. " Butterfly Gardening in Florida 'Animal urine also contains a variety of salts enjoyed by butterflies, and is used by many collectors as bait." Ponang Butterfly Farm "Other items that attract butterflies include soil enriched with urine..."